This one-on-one workshop with Nathalie Reiter is for business owners who want to increase online sales but feel like nothing is really working and get overwhelmed with where to start and what to do first. It is ideal for someone who’s just starting out, as well as someone who has been around for a while. To make sales online, we need to build a strong audience and give people something they can connect with on an emotional level. To do this, we need to get right back to the beginning and explore some crucial elements that form the foundation of a strong brand. In this full-day workshop, we dig deep into the core of your business to create a strong foundation and build a solid long-lasting brand that attracts a loyal audience and generates consistent sales. A suitable date will be arranged based on availability. Our lead time is 1-4 weeks. We explore why you started your business, what motivates you to keep going every day and what your bigger mission is. This is your core that everything else builds on. We nut out what problem you are solving with your products, e.g. a reusable coffee cup that helps reduce waste, or a product that is made of special materials that are very hard to find for the consumer. 3. How are you adding value? We explore how your business and product are adding value and what’s in it for the consumer. 4. Who are you speaking to? We develop super detailed customer personas. 5. Who is your brand? We imagine your brand to be a person and explore how it would look, speak, behave and interact. This sets the foundation for every interaction, customer service, how products are presented and shipped, brand colours, tone-of-voice, etc. Based on Steps 1-5, we establish what we need to do next to communicate the right message to the right audience and generate sales. 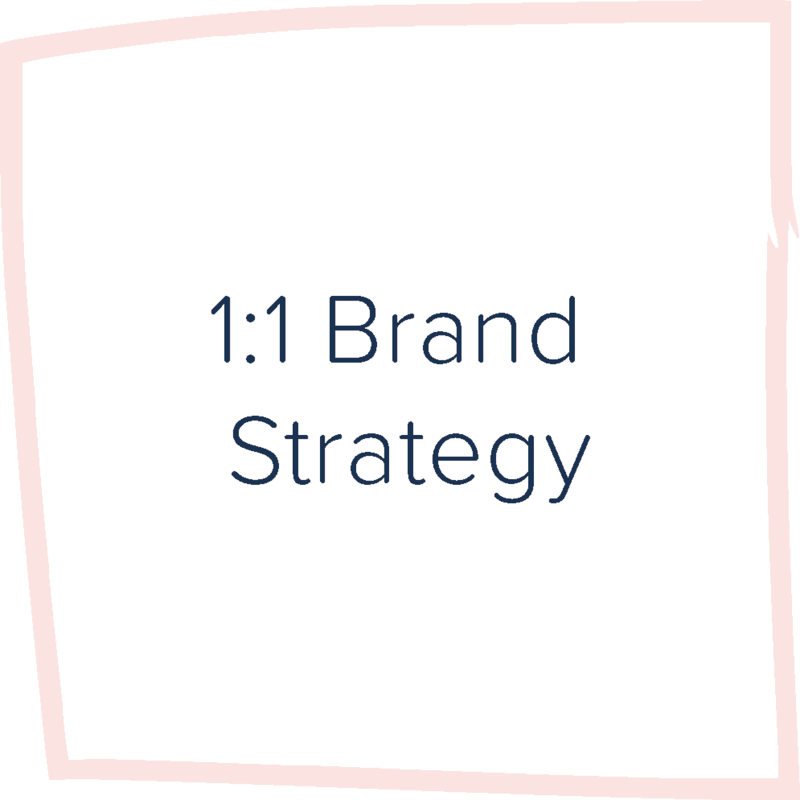 Together we will create a solid brand strategy document for your business, including next steps. We won’t just give you principles, we will do all the hard thinking there and then and make sure everything makes sense and flows nicely. Key takeaways – what problem is it solving? With the right brand strategy in place, you will be able to see clearly what you have to do to communicate the right message to the right people. A clearly structured and consistent brand is easy to understand and connect with, which creates a loyal following and generates sales. A strong and consistent brand. A clear and easy-to-understand message. A plan to create a loyal audience. The right foundations and an action plan to get those sales.